In 1947, Watson received a BSc degree in zoology from the University of Chicago. During his undergraduate years his boyhood interest in bird-watching had matured into a serious desire to learn genetics. This became possible when he received a fellowship for graduate study in zoology at Indiana University in Bloomington, from where he received his PhD degree in zoology in 1950. At Indiana, he was deeply influenced both by the geneticists H. J. Muller and T. M. Sonneborn, and by S. E. Luria, the Italian-born microbiologist then on the staff of Indiana's Bacteriology Department. Watson's PhD thesis, supervised by Luria, was a study of the effect of hard X-rays on bacteriophage multiplication. From September 1950 to September 1951 he spent his first postdoctoral year in Copenhagen as a Merck Fellow of the National Research Council. Part of the year was spent with the biochemist Herman Kalckar, the remainder with the microbiologist Ole Maaløe. Again he worked with bacterial viruses, attempting to study the fate of DNA of infecting virus particles. During the spring of 1951, he went with Kalckar to the Zoological Station at Naples. There, at a Symposium late in May, he met Maurice Wilkins and saw for the first time the X-ray diffraction pattern of crystalline DNA. This greatly stimulated him to change the direction of his research towards the structural chemistry of nucleic acids and proteins. Fortunately this proved possible when Luria, in early August 1951, arranged with John Kendrew for him to work at the Cavendish Laboratory, where he started work in early October 1951. He soon met Crick and discovered their common interest in solving the DNA structure. They thought it should be possible to correctly guess its structure, given both the experimental evidence at King's College plus careful examination of the possible stereochemical configurations of polynucleotide chains. Their first serious effort, in the late fall of 1951, was unsatisfactory. Their second effort based upon more experimental evidence and better appreciation of the nucleic acid literature, resulted, early in March 1953, in the proposal of the complementary double-helical configuration. At the same time, he was experimentally investigating the structure of TMV, using X-ray diffraction techniques. His object was to see if its chemical sub-units, earlier revealed by the elegant experiments of Schramm, were helically arranged. This objective was achieved in late June 1952, when use of the Cavendish's newly constructed rotating anode X-ray tubes allowed an unambiguous demonstration of the helical construction of the virus. From 1953 to 1955, Watson was at the California Institute of Technology as Senior Research Fellow in Biology. There he collaborated with Alexander Rich in X-ray diffraction studies of RNA. In 1955-1956 he was back in the Cavendish, again working with Crick. During this visit they published several papers on the general principles of virus construction. In 1956 Watson became a member of the Harvard Biology Department and in 1961 was made Professor of Biology. In 1968 Watson became the Director of the Cold Spring Harbor Laboratory (CSHL) where he remained until 2007. He resigned from Harvard in 1976 to become full-time director of CSHL. From 1994 to 2003 he was President of CSHL, and Chancellor from 2003 to 2007. In 1988 Watson was appointed Associate Director for Human Genome Research of the National Institutes of Health and, in 1989, Director of the National Center for Human Genome Research at the NIH. In 1992, Watson resigned his position at NCHGR after successfully launching a worldwide effort to map and sequence the human genome. 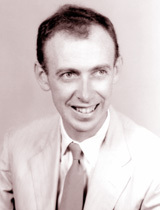 James D. Watson has received many honours, including the John Collins Warren Prize of Massachusetts General Hospital (1959), the Eli Lilly Award in Biochemistry (1960), the Albert Lasker Prize, awarded by the American Public Health Association (1960), the Nobel Prize in Physiology or Medicine (1962), the John J. Carty Gold Medal of the National Academy of Sciences (1971), the Presidential Medal of Freedom (1977), the Copley Medal of the British Royal Society (1993), the Charles A. Dana Distinguished Achievement Award in Health (1994), Lomonosov Medal, Russian Academy of Sciences (1995), the National Medal of Science awarded by the National Science Foundation (1997), the University of Chicago Medal (1998), the New York Academy of Medicine Award (1999), the University College London Prize (2000), the Liberty medal Award from the City of Philadelphia (2000), the Benjamin Franklin Medal for Distinguished Achievement in the Sciences (2001), an Honorary Knighthood of the British Empire (2002), and the Gairdner Award (2002). A review of Watson's autobiographical book 'Avoid Boring People' was published in the IUCr Newsletter.